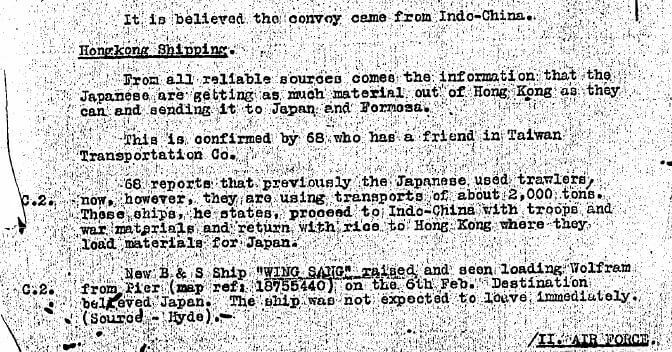 Elizabeth kindly sent this BAAG Report WIS # 19 from February 1943, There is a single and brief mention of the Taiwan Transportation Company which was apparently involved in shipping unspecified material from HK to Japan and Formosa. It is likely that this company only existed during the Japanese occupation of Hong Kong. However any further information about the company would be welcomed. This article was first posted on 27th June 2018.